At 222 feet across, almost 300 feet long, and 65 feet tall at its tail, Lockheed Martin’s C-5 Galaxy is the largest transport aircraft in the US Air Force. 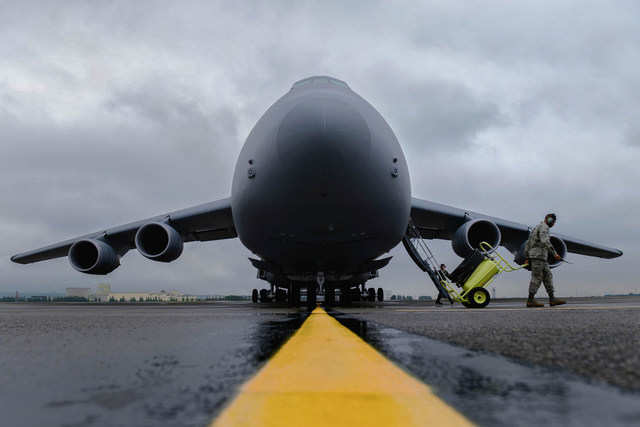 With a cargo hull 121 feet long and 19 feet across, the C-5 is a flying warehouse that can carry a combat-ready military unit or deliver necessary supplies anywhere in the world. 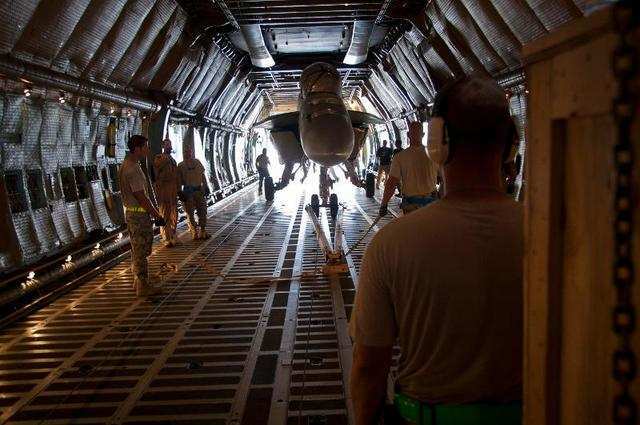 The C-5 has a cargo capacity of 142 tons, the equivalent of carrying two M1A1 Abrams tanks, six greyhound buses, or 25,844,746 ping-pong balls. 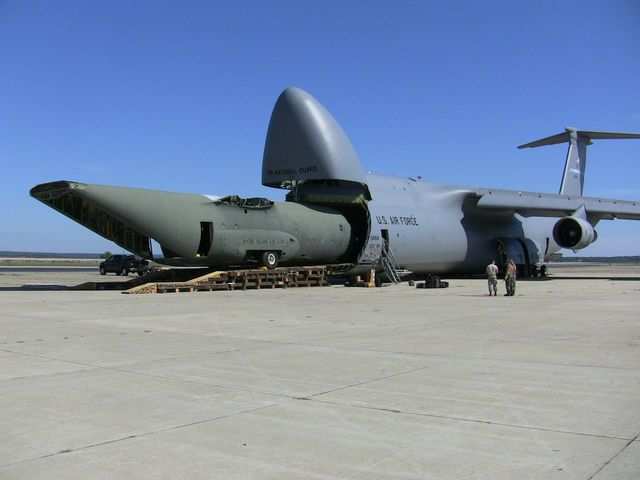 Below, see just how awesome the C-5’s carrying capacity is. 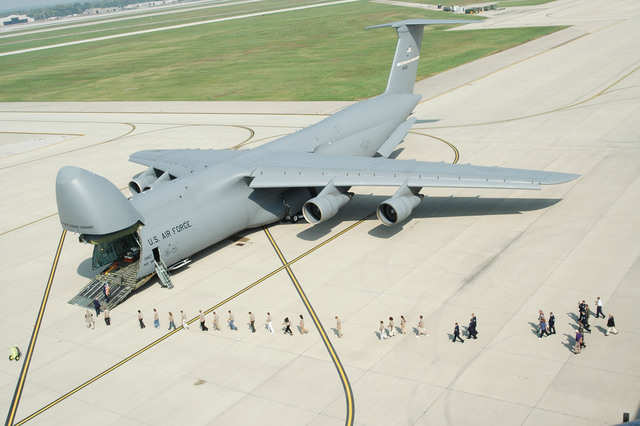 The C-5 Galaxy absolutely dwarfs humans. The engine alone is more than 7 feet across. 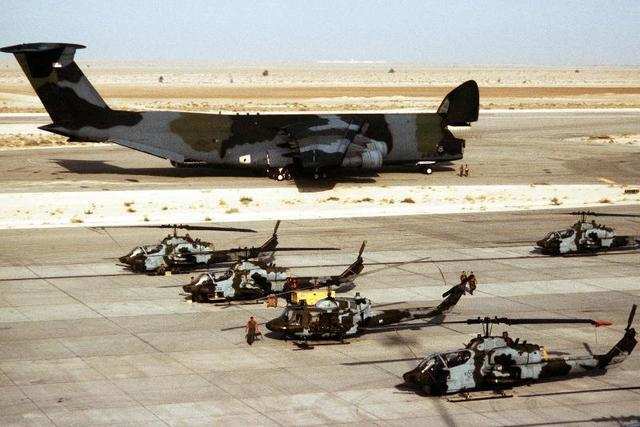 Even large helicopters are tiny compared to the C-5. 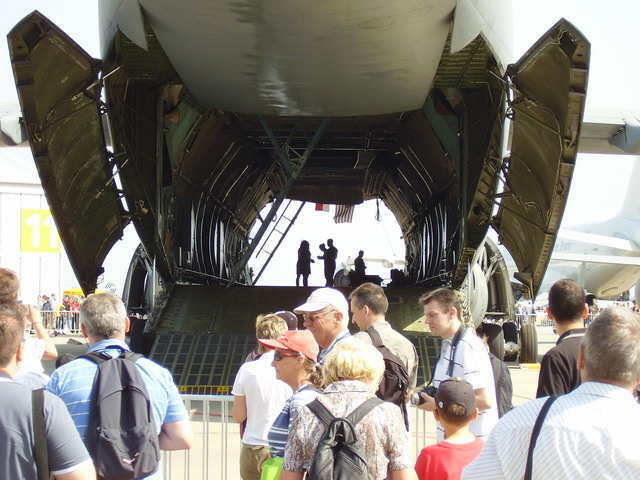 To ease loading and unloading, the C-5 opens from the nose and the tail end. 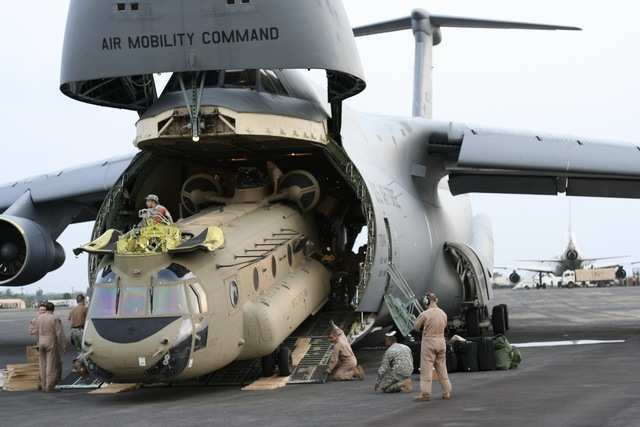 Chinook helicopters fit with ease. 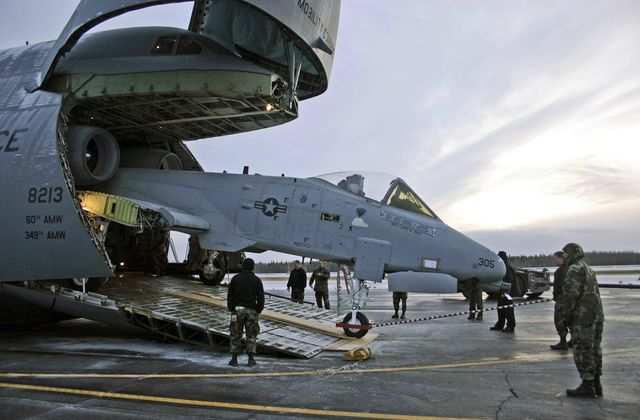 Hauling an A-10 is no problem. 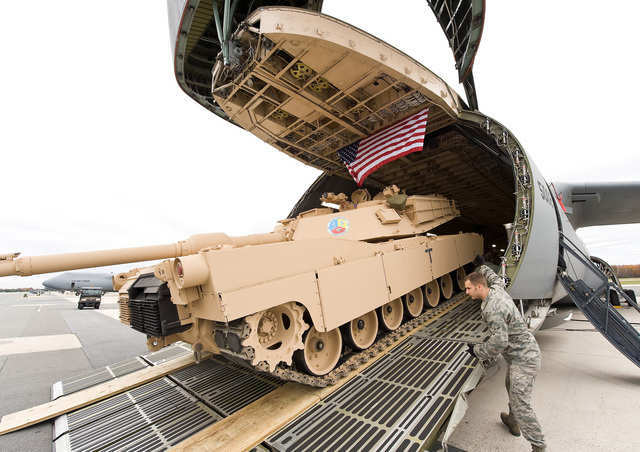 Here comes the M1 Abrams. 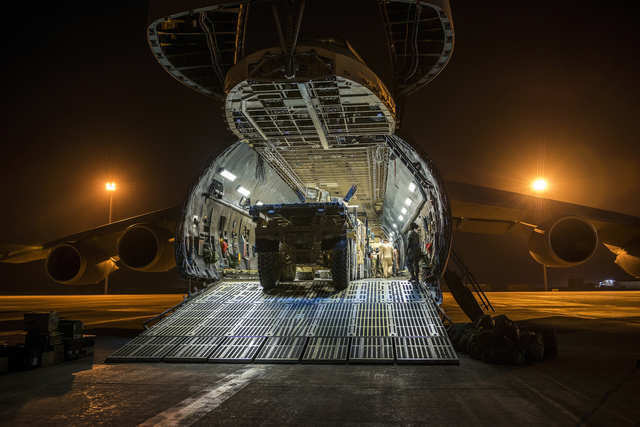 Over 266,000 pounds of cargo and armored vehicles are loaded into a C-5 in Afghanistan. 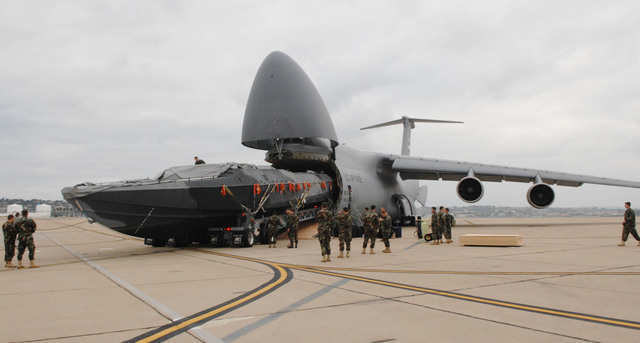 Here the C-5 unloads an 81-foot boat for the Navy. The C-130 is a big plane in its own right, but its fuselage fits easily inside the galaxy. 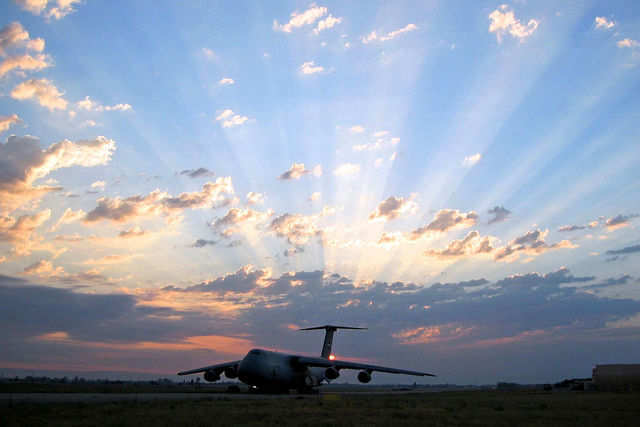 In times of trouble, when aid is needed on a huge scale, the C-5 is a welcome sight.